Entwined thoughts - ready to be straightened out ! : Paris - the charming city! Paris - the charming city! Just back from a lovely 2-week trip in France and Italy! Well, what do i say, words would fail to capture a travel experience. Traveling definitely rejuvenates the soul and leaves you asking for more! Only wish, i could travel someday aimlessly. Paris was an inclusion to our Italian trip and ended up being one of my favourite places in the itinerary. Paris is charming! A city that is modernized yet retains its historic-artistic-rustic touch. The first thing that impresses you about Paris is its connectivity! Paris is so well connected by its Metro(14 lines) and RER(3 lines). It is quite maze on paper but once you complete your first onward journey, it is out-rightly simple. Paris is a city that needs to be relished by walks. Yes, walk through those quaint little lanes winding around the corners with numerous cafes and ristorante - quite an experience. It is best to group your sites of interest together, get off at one metro and walk through the rest and board the metro at the end. Most metros are underground, by traveling completely in a metro you will miss the sights of this beautiful city! Paris has the right mix of monuments and museums that doesn't bore you! I understand for most people scanning through museums can be utterly boring but don't worry Paris is not entirely about museums. Yes, it has over 70 museums if i am not mistaken. So, it is better to choose the top 2 or 3 for your visit. Unanimously the top 2 picks would be Louvre Museum and Musee de Orsay! Louvre, besides housing the famous Mona Lisa of Leonardo Di Vinci, has some of the best collections of paintings and sculptures. It is massive and if you are inclined towards art and want to spend time - a day wouldn't be enough! Louvre was a palace that is now a museum and hence even if you are not interested in the paintings, the sheer brilliance of the architecture will leave you agape. Musee de orsay is another museum with fantastic collection, earlier a railway station, now houses some magnificent art collection - Van Gogh,Paul Gauguin and many more. You can witness many art enthusiasts sketching in there, totally unmindful of the other tourists. Apart from this, we visited the Centre Pomipdu, a modern art gallery. It gives perspectives from two different worlds of art. At the end of the trip, i began to respect and hold great admiration for the art from Renaissance period. Modern art banks on individual perspective's while in the art of the ages, you bring out one perspective that everyone can appreciate alike! Take time off from monuments and museums during your travel to spend leisure hours in the old streets of Paris. It provides you rich Parisian experience. Rue Mouteffard is one such area, be there and immerse yourself! 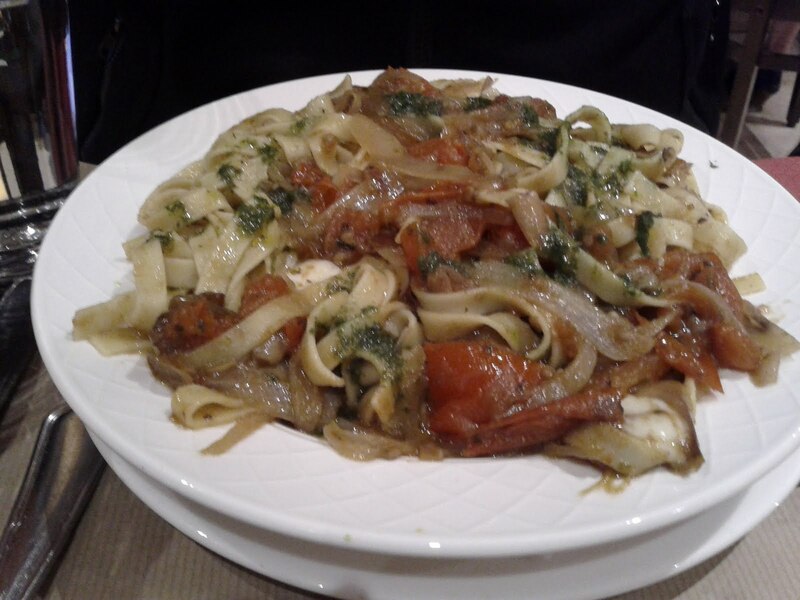 The numerous eat-outs can give you a true Parisian culinary experience. It is cheap and yummy! It is a nice place to window shop as well. You can shop for the Parisian Wine here, if you drink wine - don't shy away from wine tasting - lots and cheap! Then the famous monuments, who will fail to see the Eiffel tower when in Paris. You can spot this tower from most places in Paris! Standing tall against the mighty wind - truly a wonder! Spend some time near the Eiffel tower, in the day light and night time - it is worth it! 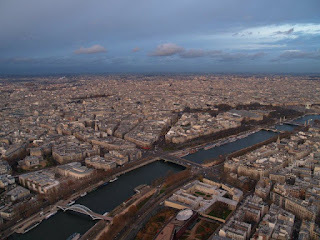 The view from the Eiffel tower is breathtaking as well - be there during sunset and just get lost! You get better views of the Paris city from the Arc De triomphe - honors the soldiers who fought the french revolution. You can spot other attractions from the Arc whereas from the Eiffel Tower you will get a Panaromic view. Both are definitely worth it. Walk along the Champs-Elysees, a different experience from the old streets of Paris. It is thriving and vibrant with many business houses and small street stalls selling food, jewelery and clothing etc! There is plenty of food all over, stop by and continue picking what you would like to experiment - there is lots of variety! There are several other attractions, choose what you may enjoy! If you are interested in French history, a visit to the Musee de l Armee - a brilliant digital portrayal of French history - is a must! It is within the Les Invalides that houses Napolean's Tomb. There are many Cathedrals that is worth a visit - Notre Dame Cathedral and Sacre Cour is a must! Sacre Coure is less written about but it is eloquently stunning! 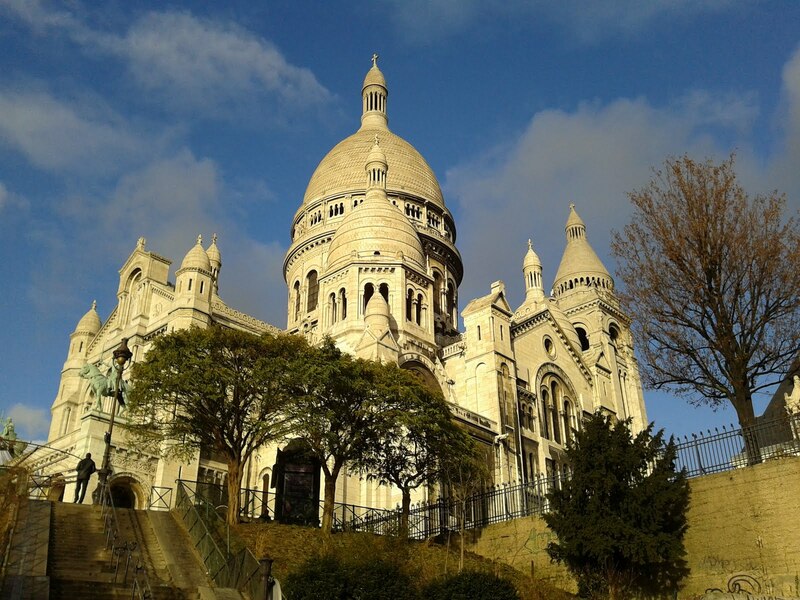 The Montmarte area in which Sacre coure is situated is another place worth taking a walk that will help you explore Paris. Finally, don't forget the cruise on the River Siene. It is beautiful and appealing. The live commentary gives you a lovely summary of the city! You may consider doing this on your first day as it gives you very nice perspective about the city and attractions. 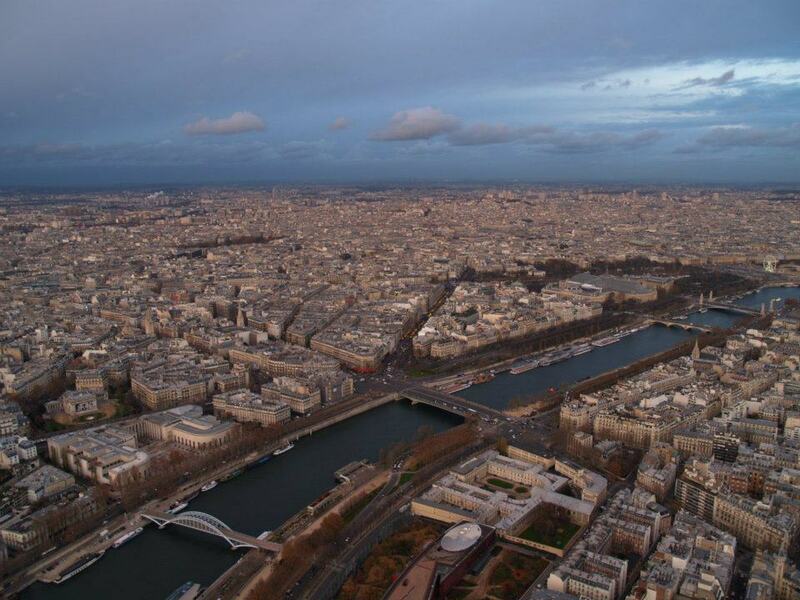 Most important attractions are along the River Siene and hence you can get a bird's eye view of them! Next post on Itineraries for traveling in Paris, Recommendations for Food, How to take the Metro and Ways to save money ! Wow.. Seems quite a place with so much to offer!! Nice pics to complement the writings! !